Marsha and Owen Vickers’ four children plus spouses and grandchildren make every summer weekend full of family fun and memories. Children and grandchildren start arriving at the house when everyone gets off work on Fridays. The property includes a peaceful waterfall and a small beach. “We love to sit out there and watch the boats come and go. All the kids wave,” said Vickers. The Vickers both grew up in Mountain Brook and many years ago decided to buy a lake home for their family to gather. 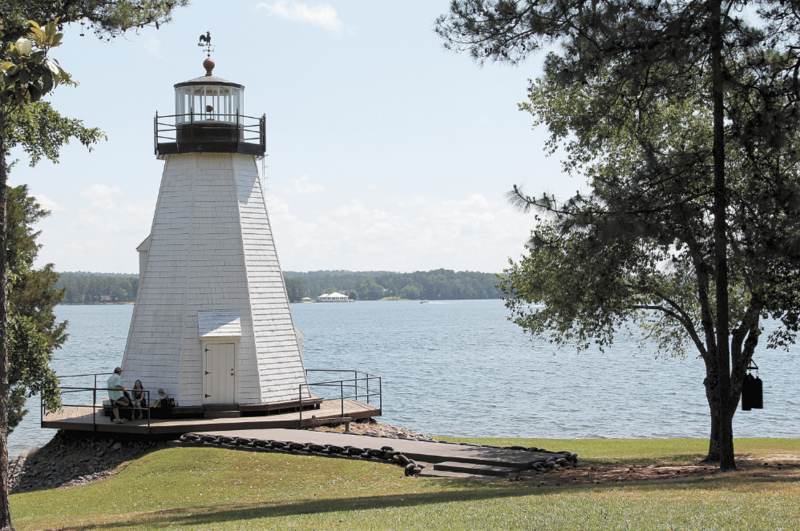 It has been nearly 20 years since the couple bought their modest home on a slough off Lake Martin, and the family has been going there for a retreat ever since. While the family’s activities vary weekend to weekend, one constant remains. “Steak Saturdays. If I tried to change the menu I think they would throw me in the lake. Steak and potato salad every Saturday,” she said. Vickers loves the traditions her family has at the lake and the camp-like feel of the home and property. Her love of lake living and community lends itself to another nearby camp – a cause close to her heart. The Vickers are involved with Children’s Harbor, a Lake Martin getaway for children with serious illnesses and their families. Owen Vickers is on the board of the organization. The retreat is near Alexander City, and patients come from various partner hospitals and organizations to participate in the same kinds of outdoor activities as would any healthy child. Every Memorial Day weekend, Children’s Harbor hosts an art fair called Art on the Lake. 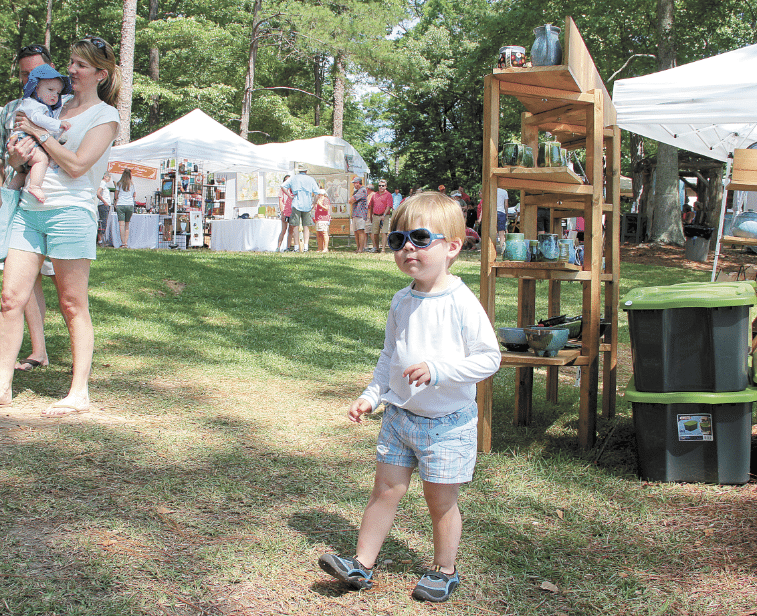 Every Memorial Day weekend, Children’s Harbor hosts an art fair called Art on the Lake. 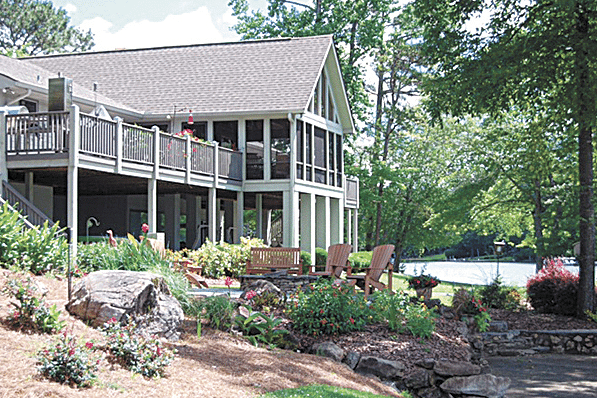 Children’s Harbor a Lake Martin getaway for children with serious illnesses and their families. Families who use the Children’s Harbor facilities or attend the camps do so at little to no cost. Vickers said she is always excited for people to learn the extent to which Children’s Harbor helps those struggling with serious conditions. “It does so much for so many – rich, poor, happy, sad, sick or recovering. The people that work there are so wonderful and talented, too,” she said. Children’s Harbor has a center in Children’s of Alabama hospital in Birmingham as well. Vickers said she is glad to see that families dealing with childhood illnesses are able to enjoy Lake Martin just like her family does.